Right after two days of its global announcement, OnePlus has launched its flagship smartphone, the OnePlus 5 in India, company has launched both 64GB with 6GB RAM and 128GB with 8GB RAM variants in India and they are priced Rs 32,999, and Rs 37,999 respectively. Open sale for OnePlus 5 begins June 27, and Amazon is offering some cash back and data offers with OnePlus 5. OnePlus 5 comes with an anodized aluminum build with 7.25mm thickness, it do resemble like iPhone 7 Plus from the back, it has a ceramic fingerprint sensor, the same which we have seen on OnePlus 3. When it comes to specs, OnePlus 5 comes with 5.5 Inches FHD Optic AMOLED display screen which is now protected by Corning Gorilla Glass 5, under the hood, it is powered by Snapdragon 835 octa-core processor and comes in two variant, 6GB RAM with 64GB internal storage and 8GB RAM with 128GB internal storage, and it comes with two lane transfer for faster installation speeds, boot time and app loading as well. 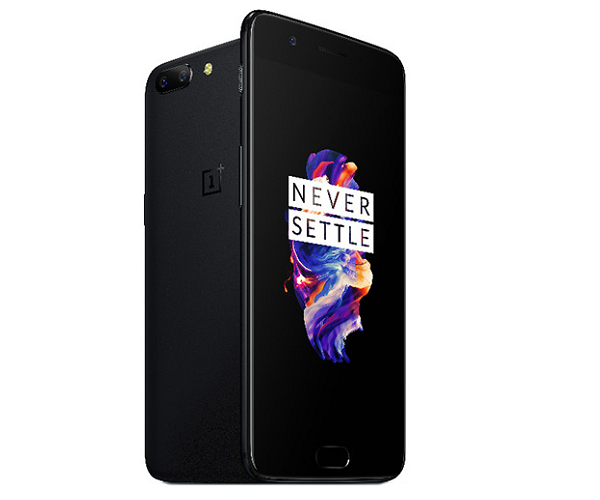 When it comes with camera front, which is one of the most talked features of this device, it features a dual camera setup at the back, a 16MP primary camera and a 20MP secondary telephoto sensor, which capture depth information and gives the OnePlus 5 the capability of 2X optical zoom, yes, the same which we have seen on iPhone 7 Plus. It houses a 3300 mAh battery which again supports Dash Charging which allows a full day of use in just a half hour of charge.